New Delhi: A row built over when a delegation of doctors from Pakistan could not attend a global conference in the capital on account of ” Visa Issues.” While it was initially alleged by many that they were denied visa, the Home ministry strongly refuted the “vilification campaign” saying it never received any such application from any medical practitioner belonging to the neighbouring country. A delegation of doctors from Pakistan, expected to participate in a global conference on Head and Neck cancer in the city, could not attend the event as the Union Home Ministry said “they failed to apply for proper travel documents”. “Pakistan comes under the “Prior Reference Category” (PRC) and anyone wishing to visit any conference in India has to apply well in advance for consideration of his or her visa application,” a Home Ministry official told IANS. “The reality is that we did not receive any visa application from any doctor from Pakistan to attend any conference in India,” the official said. The delegation of Pakistani doctors was scheduled to attend a four-day global meet on cancer care beginning here. Earlier in the day, Professor at the All India Institute of Medical Sciences (AIIMS) and organising Secretary of the conference, Alok Thakar said the delegation of Pakistani doctors were scheduled to participate but could not make it as they could not get the visas. The conference is being organised by International Federation of Head and Neck Oncologist Societies (IFHNOS) and Foundation for Head-Neck Oncology (FHNO). Thakar, a Professor of Otolaryngology and Head-Neck Surgery at the AIIMS, said that during the conference participants from India and other parts of the world will present papers on innovations in medicine related to Head and Neck cancers. The news comes amidst escalating tension between India and Pakistan in the wake of the Uri attack and subsequent surgical strikes by Indian Army on terror launch pads across the border. The doctors from Pakistan had probably deliberately did not applied in due time for visa. The conference organizing secretary had said that the delegates did not get visa. But he had not disclosed the dates of visa application of the so called delegates. Giving half-information is not acceptable. It is like giving partial information to the patient. Also what is the necessity ?? The neighboring country can only export terrorism. A letter written by me to the IMA President ,Maharshtra. Lets see what stand, IMA takes. ‎At a recently held, international Head and Neck Cancer conference organised by AIMS at Delhi, a delegate of Pakistani Doctors were denied Visa by MEA India, citing reasons for non submission of required documents. A nation is made by its citizens, of whom some could be Government employees, artists , doctors and so on and so forth‎. Since this is one of the peaceful ways to protest against a warring nation. I would request IMA to clarify it\’s stand . Doctors like me, who form the majority, would ‎appreciate an official letter through the IMA to the MEA, commending it\’s stance against Pakistan . As a doctor, I think, this is the only opportunity we could possibly get to express solidarity towards our country and also reflect the nation\’s sentiment against Pakistan. ‎The opportunity has been handed to us on a platter and we must use it promptly. Dear Dr Mohan, You have clearly stated the sentiment of the common people of this Pakistan-sponsored terror-effected country. Big-mouth of nonsense cultural or any other so called exchange is meaningless. I personally feel, it is not necessary for IMA to certify for our National Pride. Let doctors be beyond borders. There is no need for Pakistanis, to visit India. 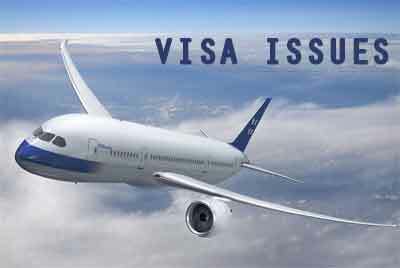 If indeed MEA has refused visa to the Pakistani delegates it\’s the right and most proactive thing to do. India has been tolerant towards Pakistan for a very long time, however things have come to a pass and Pakistani Governance AND citizens both must feel the heat, and bear the consequences for the proxy war imposed on India. I am not with the sympathisers of Pakistan, even if they happen to be doctors. Lets support and send a letter of commendation to the MEA for doing the right thing.